There was an intriguing beetroot soup, served hot, on the menu at Nikau Cafe in Wellington this week. I consulted Ray McVinnie’s view on the classic Russian beetroot and red cabbage soup, bortsch, but was inspired to make my own soup with roasted tomatoes and beets, cooked at the same time as I had the oven on for something else. 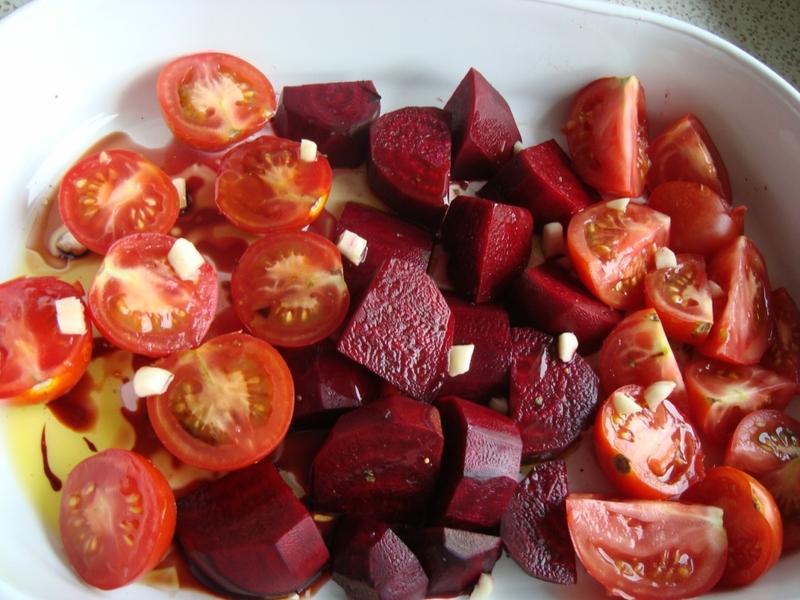 It was beautiful and delicious with an earthy sweetness from both the tomatoes and beets. Place the vegetables and garlic in a shallow dish, drizzled with olive oil and balsamic vinegar and seasoned well with salt and pepper. Roast for about 50 minutes in a medium oven, shaking once or twice. 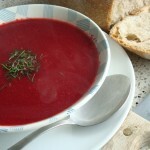 Remove the beetroot from the dish and sieve what remains into a blender. Add the beetroot and blend until smooth. Reheat with the stock. Taste and season if required. Thin with a little hot water if necessary. Serve garnished with finely chopped dill leaves.